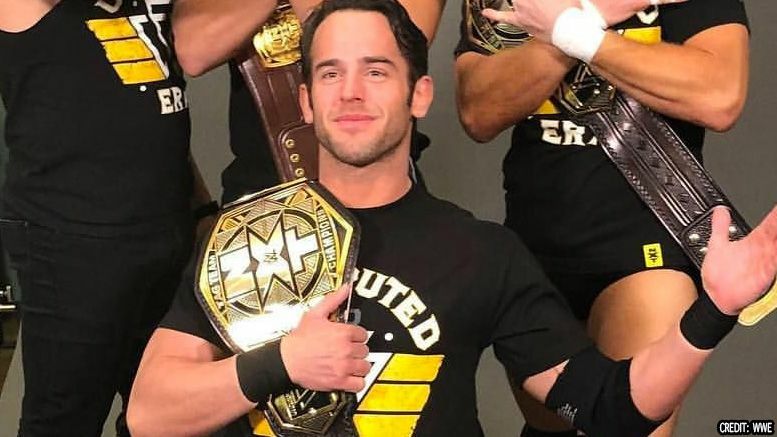 After a weekend of teases, WWE has announced NXT star Roderick Strong will be challenging for the EVOLVE Championship next month in New York. According to WWE.com, The Undisputed Era member will face fellow NXT wrestler and current EVOLVE champion Fabian Aichner in a triple threat match that also includes Austin Theory on December 15th in Queens. Strong will face Darby Allin in a singles match the following night in Deer Park. The card change comes just a few days after Impact Wrestling pulled their tag team champions LAX from the EVOLVE shows. As we previously reported, EVOLVE later announced they would no longer consider booking talent associated with Impact. Strong first teased the upcoming appearances via Twitter over the weekend. Aichner quickly accepted Roddy’s challenge social media. EVOLVE 117 — Saturday, Dec. 15, at La Boom in Queens, N.Y. EVOLVE 118 — Sunday, Dec. 16, at NYWC Sportatorium in Deer Park, N.Y.